Ansal Housing It is one of the Premier Real Estate Developers in India and Overseas who have worked relentless for decades, to help build a stronger nation. Since inception in 1983, Ansal Housing has given a new dimension to Indian infrastructure development. The Company has developed world-class townships, residential complexes, commercial complexes, retail space, hotels and movie-halls that have set new standards in quality and architectural excellence, delivering the best to its customers, stakeholders and investors. 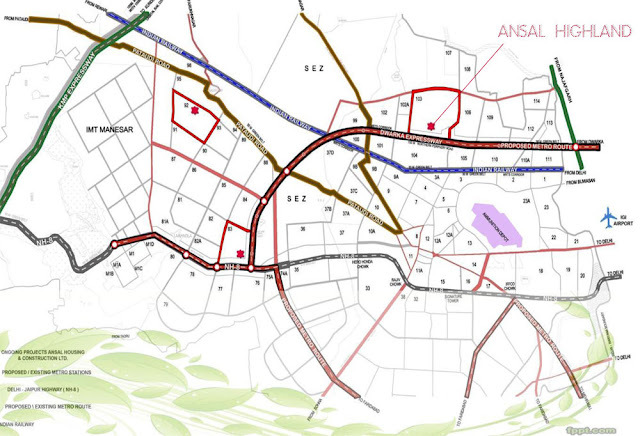 Ansal Housing Group now going to introduce new residential project Ansal Highland Park in Sector 103 Gurgaon.